In the LUX group we operate the 200 TW, 25 fs laser system ANGUS, running at a repetition rate of 5 Hz. Our ambition is to provide a reliable and reproducible tool for experiments. We therefore attach great importance to automatization, such as auto-alignment procedures, and to continuous data acquisition, that ensure a stable every-day operation and the necessary statistics to identify and remove error sources. We use our high-power laser system as a driver for the plasma acceleration of electrons. 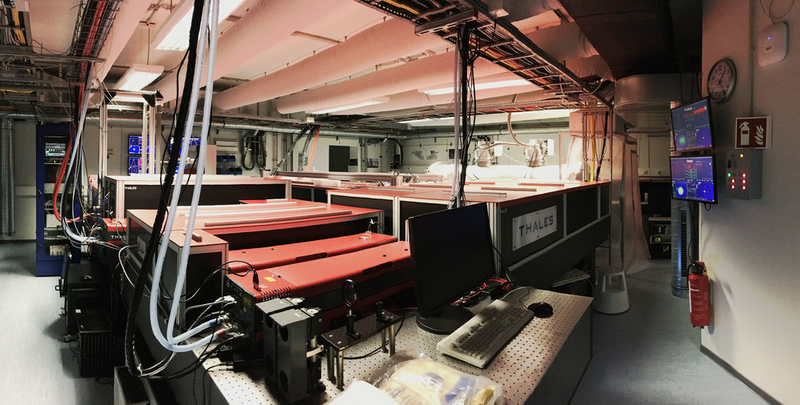 From the laser lab, the 5 J pulse can be guided into the 60 m long LUX accelerator tunnel, where it is focused into a millimeter-scale plasma target. 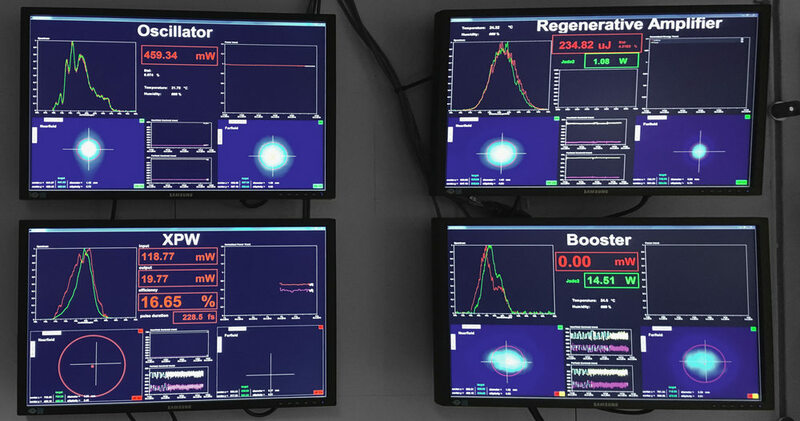 In the same spirit as for our laser operation, we aim at high stability and reproducibility, making use of the full 5 Hz laser repetition rate to acquire reliable statistics on the accelerated beams. 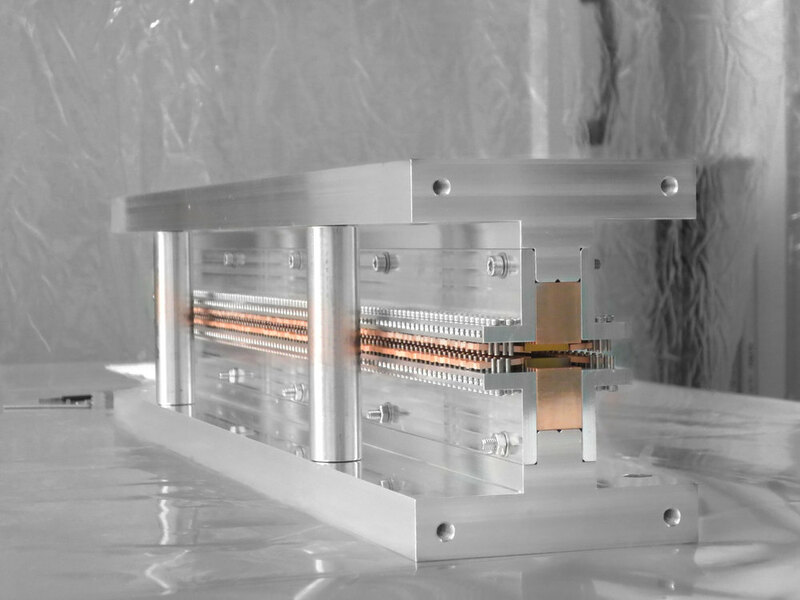 We develop and build undulators, specifically designed to be driven by plasma generated electron beams. The new BEAST II undulator is the successor of the world’s first plasma-driven undulator in the soft x-ray regime. With a period of only 5 mm, we aim at reaching the hard x-ray regime within the LUX experiment. In addition, we work on cryogenic undulators for a plasma driven free-electron laser. We support our experimental efforts with both theoretical studies and Particle-in-Cell (PIC) simulations. Here, our emphasize lies on methods to improve the electron beam quality in terms of divergence, emittance and energy spread, as well as diagnostic methods. In order to provide ever more accurate modelling tools and making them available to the research community, we actively contribute to (open-source) PIC code development together with our collaborators from Lawrence Berkeley National Lab.